Today, exactly one week after the global PES 2015 release, Konami did not only release the first of many weekly PES 2015 Live Updates, but also unlocked the function to purchase PES 2015 MyClub coins with real money. Using the option to purchase PES 2015 MyClub coins with actual money, players can skip the long and possibly frustrating process of building a good squad in the PES 2015 MyClub mode, which is inspired by FIFA's Ultimate Team mode. In PES 2015 MyClub, players are building teams utilizing both normal and 'super' player agents in a randomized player drawing ceremony. 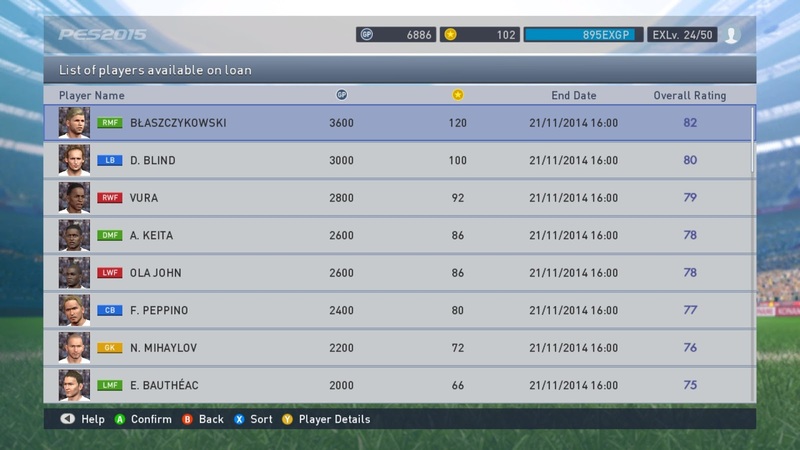 Players can also be signed for a limited time using the Player Loans function. 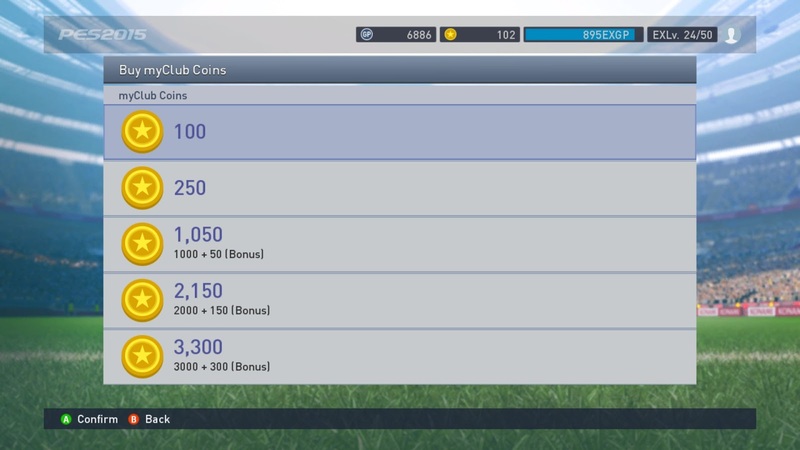 Here's an overview about the cost of PES 2015 MyClub coins. Prices per 100 coins are slightly declining the bigger the amount someone buys at once. Whereas normal agents cannot be bought with ingame currency in PES 2015 (they don't give you great players anyway), the super agents can only be activated by paying a fee of either 10,000 PES 2015 GP or 250 MyClub coins. Super agents offer guaranteed OVR 75+ players and a ca. 15% chance of drawing a OVR 80+ player (i.e. a black ball). Another way to spend the PES 2015 MyClub coins is to sign new managers for your team. 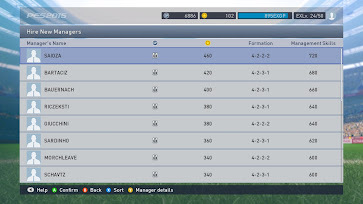 Managers in PES 2015 MyClub have different Management Skills and Formation preferences. If your aggregated team strength is too high for the management skills of your coach, your MyClub team will perform worse on the pitch. Currently, the most expensive MyClub coach in PES 2015 on PC (management skills 720) is available for 460 MyClub coins. Note: There was an error in this article previously, stating that the best managers in PES 2015 could only be hired using MyClub coins. Actually, the managers have to be unlocked and can then also be obtained using PES 2015 GPs.